Mother's Day Among the Iris ~ Each year, here on the farm, we celebrate all mothers. 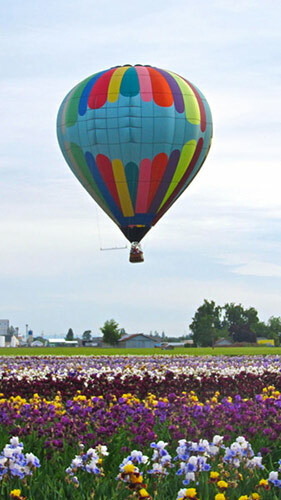 Treat your mother, and yourself, to a garden stroll among an array of colorful blossoms. Taste a cup of tea, a sip of wine or an artisan liqueur here in the Display Gardens. Enjoy a leisurely picnic in the park-like setting of our 10-acre display garden. Browse our unique bloom-season gift shop featuring an interesting mix of home & garden accents. Gift mom (or yourself) a potted Iris from the selection of Iris we have on hand in half-gallon pots. Gardens open 9:00 a.m. to 6:00 p.m. Picnic tables available. Dogs welcome on leash (please clean up after your puppy). Mt. Angel Sausage Co. food cart is on site with delicious sausage, curly fries, soft drinks and more. Entrance fee $5 per car. 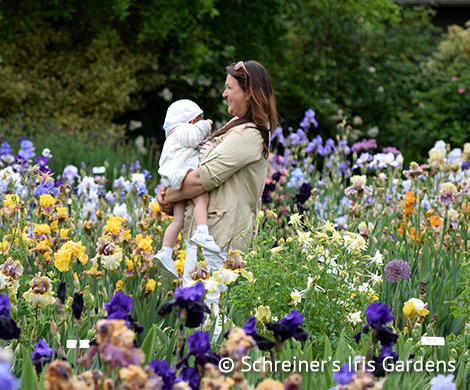 Enjoy tea amongst the flowers with Plum Deluxe at Schreiner's Iris Gardens. We will be sampling several of our delicious, hand-blended teas, thoughtfully chosen for the day's celebration. Bring your mom or a tea-loving friend and enjoy a relaxing afternoon! 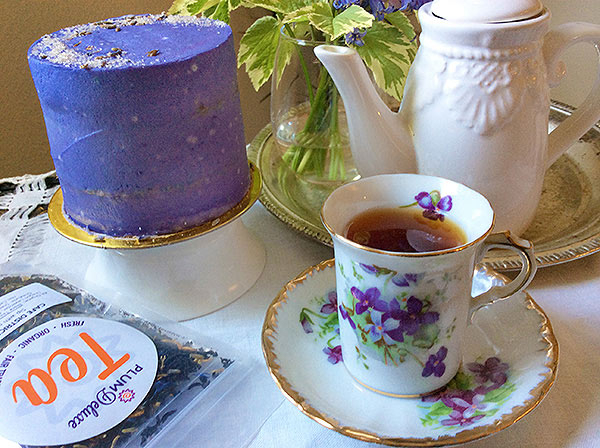 About Plum Deluxe: Hand-blended in small batches at our studio in Portland, Oregon, Plum Deluxe teas help you slow down for a mindful moment and discover something magical. All of our tea blends are organic, non-GMO, and free of chemicals and sulfites; we support local and USA farmers wherever possible and run an active philanthropy program.